Katharine D’Souza has lived much of her life in and around Birmingham. She specialises in writing contemporary fiction, in the form of novels, and the occasional short story, with a realistic edge. Her characters, who, like herself, all herald from Birmingham, encounter real life situations and problems. ‘It’s perhaps unsurprising that my stories are set in Birmingham,’ she says, ‘but I hope the themes are universal’. To date D’souza has released two novels, the second of which, Deeds not Words, was published in December 2013. 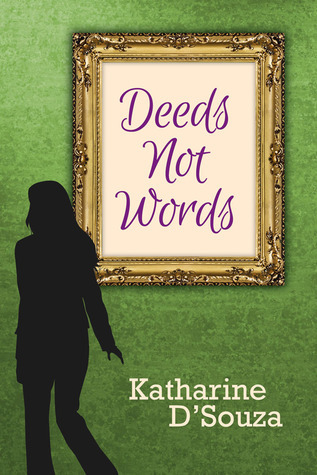 Deeds not Words follows the story of museum curator Caroline, who has returned to her hometown following the breakdown of her marriage. Now, middle aged and alone, Caroline is stagnating, and feels herself become more and more unfased by her work and social life. As the fledgling member of a competitive office Caroline struggles to make her voice heard, and outside of work she bears the brunt of being the only one of her parents’ children living close to home. So when Caroline accidentally stumbles upon information alluding to a side of her family she never knew existed she cannot resist the urge to indulge her passion for the past and delve a little further into her family history. In doing this she is all at once given the once given the opportunity, and the motivation, she needs to create something from her life. But is she willing to take the risk? 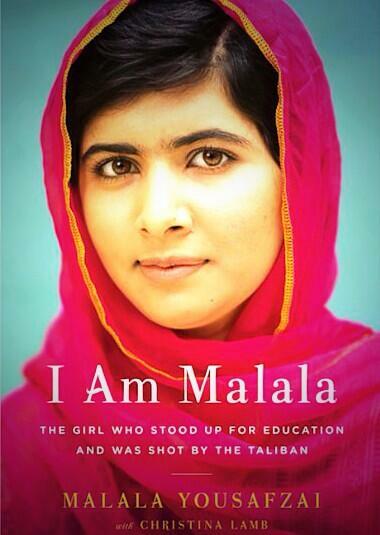 I was pleasantly surprised by this novel. When I started reading it, despite the fact it is about a museum curator, I had no idea it would have the historical aspect that it did. Those of you who read my blog often will know of my soft spot for historical fiction – while I don’t think this book quite falls within these realms, there is a definite a historical aspect to it, which I love. The historian within Caroline is reawakened in researching her family history when she discovers her ‘great aunt Susannah’, an inspirational lady who was heavily involved in the women’s suffrage movement in Birmingham. Caroline’s research takes the reader on a historical journey back to a time when the women’s suffrage movement was in full swing – while D’Souza has been clear that the book is a work of fiction the message conveyed remains the same. It is Caroline’s grandmother, Beth, who first sets in motion Caroline’s desire to uncover her family history when she speaks to Caroline about wanting to do what is right, and put an end to a feud which has been hanging over the family for years. Her grandmother’s words are vague and confusing, however, and Caroline has to take matters into her own hands to realise the root of the feud, and ultimately her grandmother’s true wishes. Caroline makes up her mind to take action and bring the family back together, and in so doing finds herself up against some serious barriers in the form of her incredibly stubborn mother. Reading about the relationship Caroline has with her mother is actually quite painful, and I’m sure an empathetic reader would feel more than a little sympathy for Caroline. In deciding to strive to reform her family after so many years, Caroline effectively risks marring her relationship with her mother – a difficult decision, but ultimately a clear one. While D’souza has been clear that Deeds not Words is purely a work of fiction, the suffragettes were of course only too real, and it is interesting to consider that there could still be such messages hidden within direct sight so many years after the suffragettes demand of ‘votes for women’ has been realised. I was pleasantly surprised that this novel didn’t turn out to be yet another love story. In fact, this was made all the more rewarding in D’Souza decision to peter dangerously close to becoming just this, before stealing the show back right at the very end. Caroline is only human, and while it is to be expected that she would be not entirely adverse to the advances of an attractive man, I feel this would have given the book entirely the wrong message. The choice D’Souza made with regards to Caroline’s love life was, I feel, entirely the right one. Overall, I found Deeds Not Words to be a very satisfying read. D’Souza has a unique take on historical fiction which is juxtaposed with the contemporary banality of middle-aged city life. The story itself is enthralling because it is entirely believable, especially given the current obsession with the trend for people to tracing their family histories. The book also has something to say about life choices and the idea of making your mark upon the world, a message which may leave the reader contemplating their decisions long after the final chapter has concluded. Many thanks to Katharine D’Souza for supplying me with a free review copy of her book.